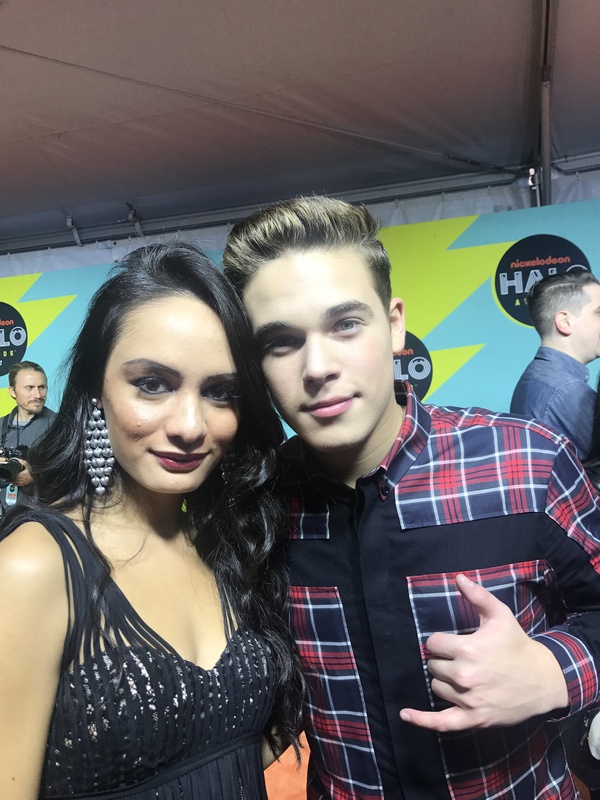 VIPAccessEXCLUSIVE: Ricardo Hurtado Interview With Alexisjoyvipaccess At The 2017 Nickelodeon HALO Awards! Nickelodeon’s masterpiece of a show, School Of Rock is back with even more extraordinary, music-filled episodes and it’s time for all of you #Fremmer fans to get ready for some more adorable moments you can’t help but gush over! School of Rock is, hands down, one of the greatest shows ever made and the cast does such a brilliant job bringing their characters and the excellent storylines to life in each and every episode. Starring in the show as Freddy is none other than the charming and incredible, Ricardo Hurtado. The amazing Ricardo Hurtado is definitely our favorite actor ever and we always have a wonderful time watching him on our TV screens. Acting comes oh, so naturally for the exceptional, Ricardo Hurtado and he always exhibits his indescribable talent in any and every project that he works on. Aside from acting, Ricardo Hurtado is also a gifted musician. He can play the guitar and sing so beautifully and his singing voice is something we all can listen to all day, every day. When he’s not working on set of his remarkable show or bringing out amazing covers, Ricardo Hurtado has also been working on his YouTube channel, and yes, we can’t help but swoon over all of his awesome videos. Needless to say, Ricardo Hurtado is absolutely magnificent! I, Alexisjoyvipaccess had the great honor of covering the 2017 Nickelodeon HALO Awards and had a fantastic time catching up with and interviewing the outstanding Ricardo Hurtado again at the event. Ricardo Hurtado dished exclusively to Alexisjoyvipaccess all about ways in which he HALOs (Helps And Leads Others), what he is looking forward for fans to see in new episodes of School of Rock and so much more only in our VIPAccessEXCLUSIVE updated interview. Ricardo Hurtado even revealed which musician he would like to create a song with and he gave advice on how you can HALO too – hear what he had to say in our VIPAccessEXCLUSIVE updated interview below. Thanks for another fun interview, Ricardo! Check out my updated VIPAccessEXCLUSIVE interview with the phenomenal Ricardo Hurtado at the 2017 Nickelodeon HALO Awards below! Previous VIPAccessEXCLUSIVE: JoJo Siwa Interview With Alexisjoyvipaccess At The 2017 Nickelodeon HALO Awards! Next VIPAccessEXCLUSIVE: Logan Henderson Interview With Alexisjoyvipaccess At The 2017 Nickelodeon HALO Awards!